Your link with your anchor text will be used to submit 1000 do-follow links, this is very easy, cheap, safe way to rank you link(s) in Google. Do-follow backlinks is the only way to get your Google PageRank increased, also it's a very important to enhance your rank in Google. Links will submitted with premium captcha solving services. We will create accounts for your submission and will provide you with the accounts credentials (usernames & passwords) reports. 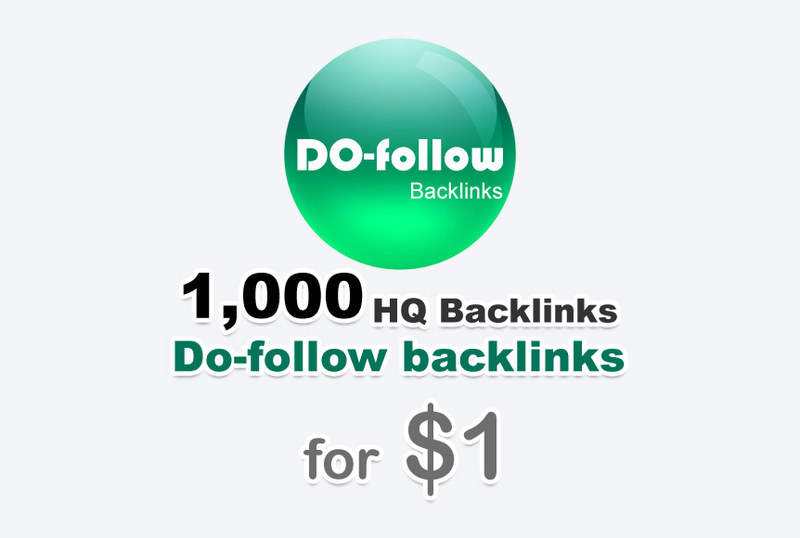 1000 do-follow backlinks is ranked 5 out of 5. Based on 397 user reviews.